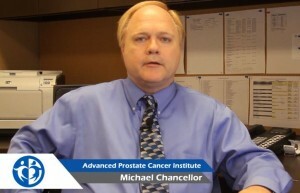 Prostate cancer is the second most prevalent form of cancer among men in the United States, surpassed only by skin cancer. The vast majority of cases are diagnosed in patients over 50 years of age, but this cancer can affect men of all ages and ethnicities. The outcome is usually a full recovery when the cancer is detected early and the right course of treatment is adhered to rigorously. It is estimated that there are currently more than 2 million men living in the United States who are prostate cancer survivors. 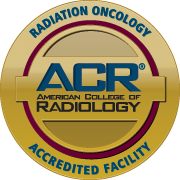 Radiation therapy involves high doses of radiation that are transmitted through the skin to targeted cancer tumors. The radiation kills cancer cells by damaging their DNA. This approach is often preferable to other treatment options such as surgical intervention or chemotherapy because it is the most conducive to the patient maintaining an active lifestyle. There is none of the lethargy that is typically associated with chemotherapy and, unlike surgery, there is no period of incontinence following radiation therapy. The side effects of radiation therapy tend to be mild when compared with other cancer treatments. However, they may include more frequent urination or a more urgent sense of the need to urinate, diarrhea, erectile dysfunction or a decrease in fertility. Even with these side effects, radiation therapy is a far more tolerable option than alternative therapies when it comes to treating prostate cancer. Its effectiveness depends on the stage of the cancer and the size and exact location of the tumor, as well as the consideration of other pre-existing health conditions. The only way to determine whether a patient is a candidate for radiation therapy for prostate cancer is by consulting with urological and radiation specialists. The team of specialists at Advanced Prostate Cancer Institute includes doctors, nurses and technicians who are trained in working together to provide their patients with quality, personal care and the skilled use of the latest in medical radiation technology. Evidence of their experience and dedication is to be found in the high rates of recovery in their patients.